The components of the block are…one (1) WQ Simple square block, four (4) Triangle blocks and four (4) Starpoint component blocks. Just click on the links to get the PDF of the patterns. So what did I do different…. I blew this block up to make a 21 inch block. 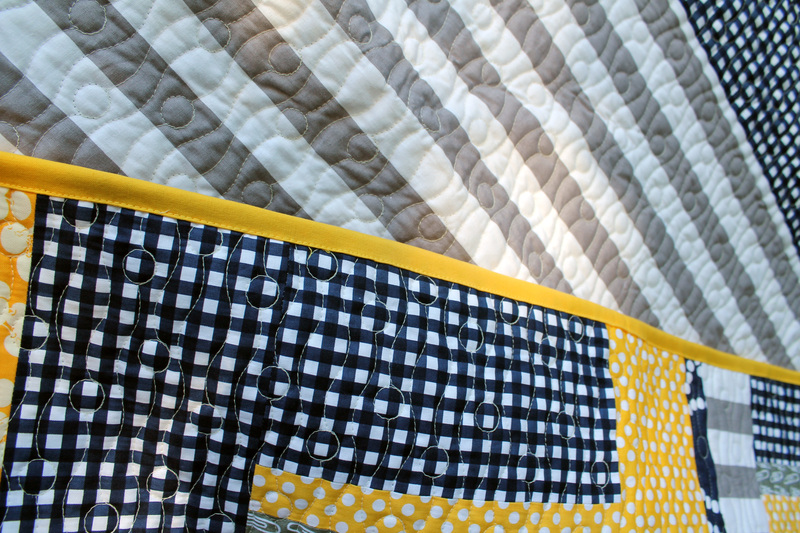 As the local hospital was now requesting 42 inch square quilts, I thought this would be a great way to make a quick and easy baby quilt… and I was right. 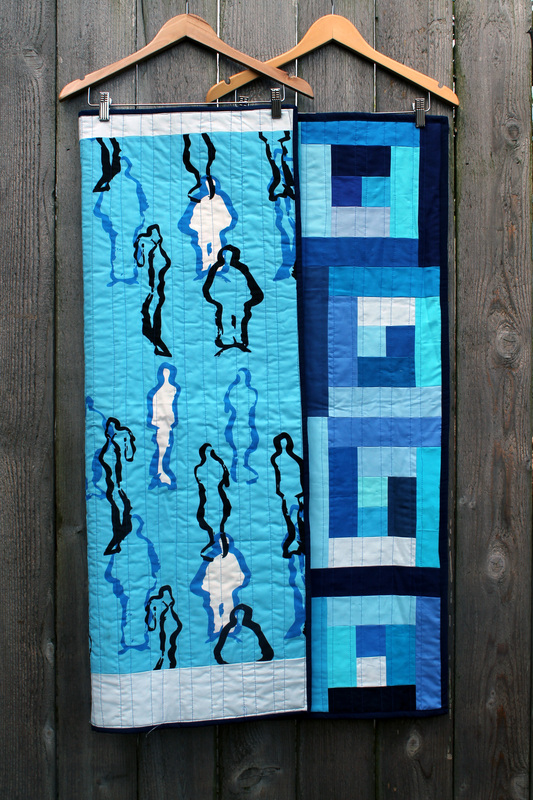 My quilt is unbound, but you get the idea. 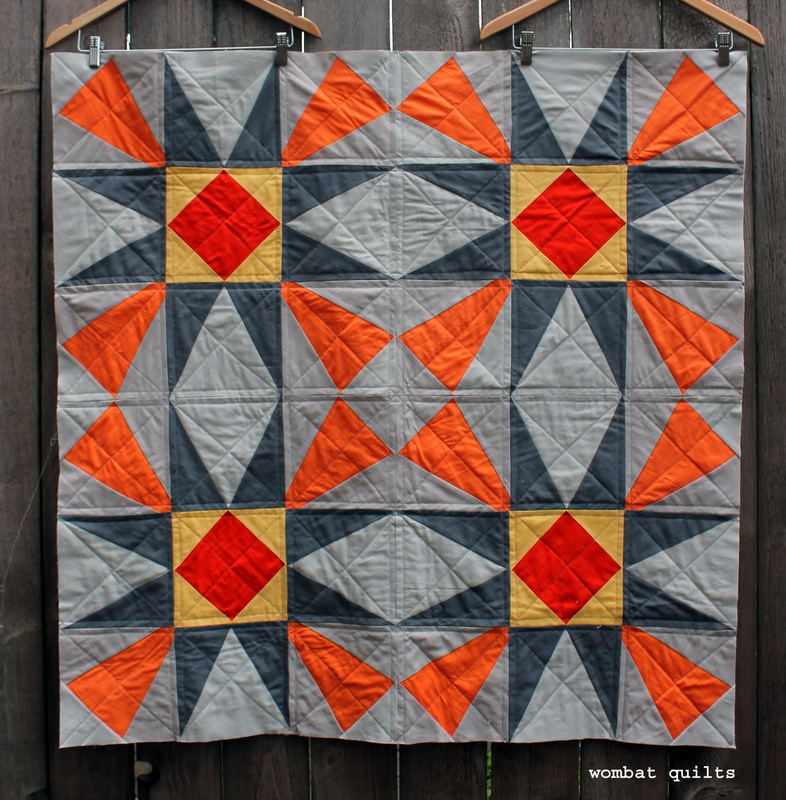 Simple pattern, bright solids and you have an easy quilt. 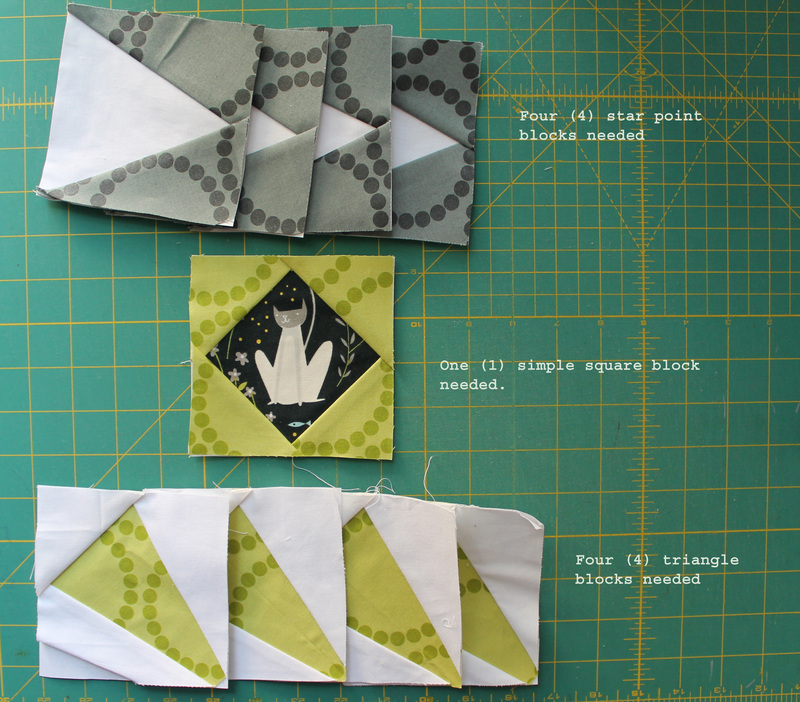 The pattern components are the same but just 7 inches instead of 4…XL Triangle component and XL Star component and of course XL Simple Square component. First up I wanted to thank everyone for the wonderful, supportive comments that were left on my last post. After being so nervous about sharing my story, you made me so glad I opened up. Thank you. 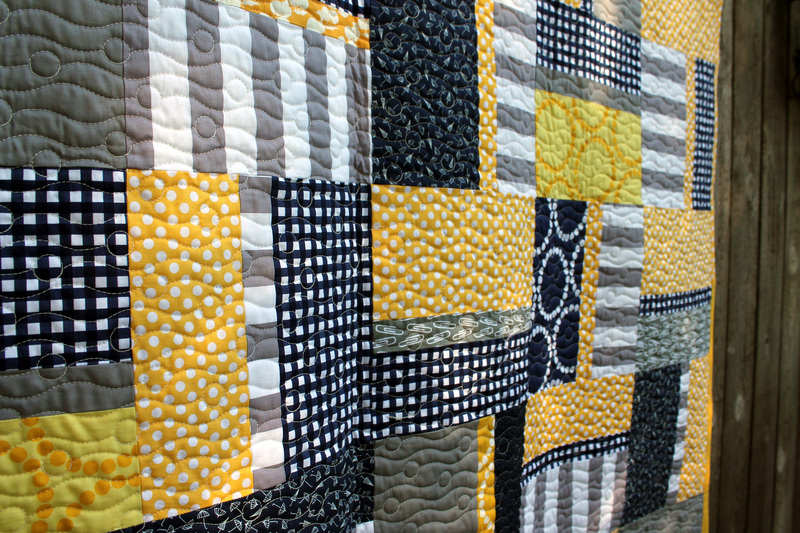 Now back to the regularly scheduled programming….today I am thrilled to share two finished quilts that were made as part of the Portland Modern Quilt Guild Charity Sew days…. A fabulous group of ladies helped make blocks, piece and quilt these beauties which were made for local charity Camp Erin. 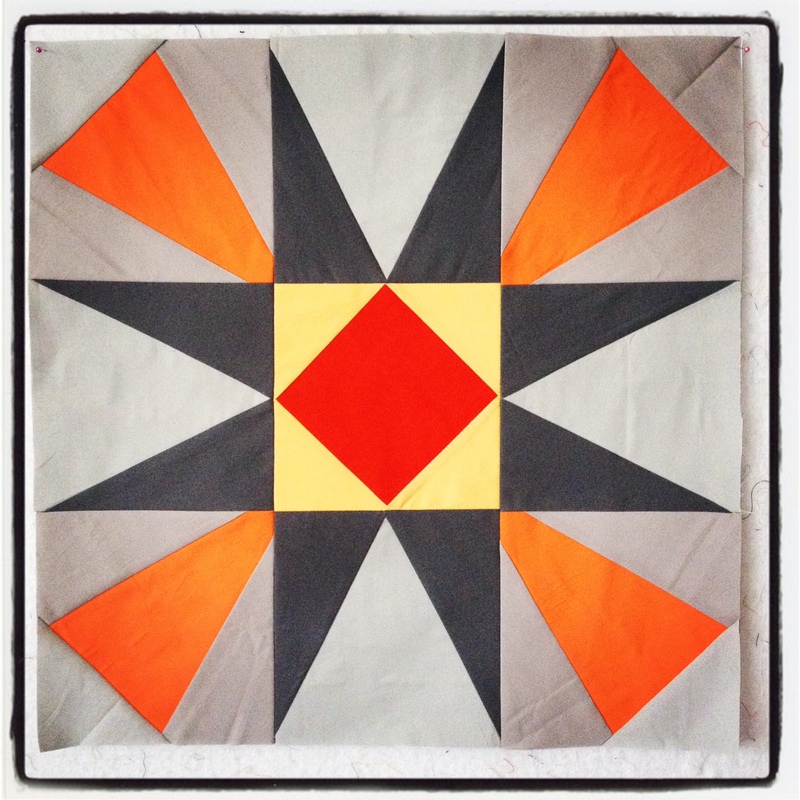 If you are interested in making your own simple quilt like this check out my post about the block we choose for directions. The block was so simple but really effective – we managed to get two large tops made in one day. At the same time we also managed to make sure that each top had its own unique flair. 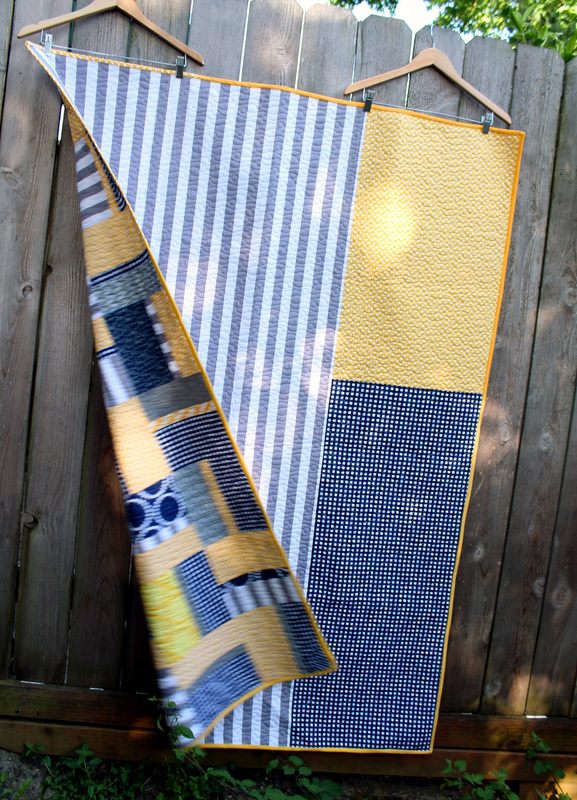 For both these quilts we used the Guild’s left over Riley Blake Challenge fabric. 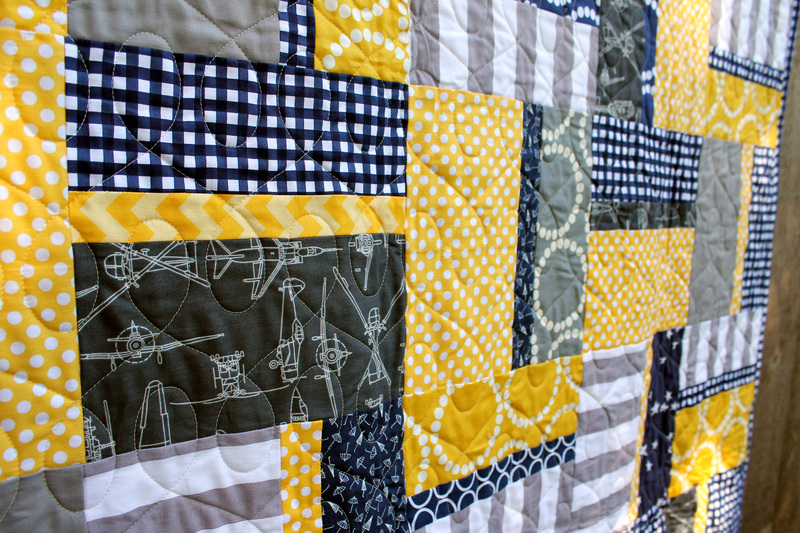 We had quite a few of our Guild members share their left over pieces with us with some added touches – Rachel supplied the coolest airplane fabric, Michelle supplied the navy umbrellas and I raided my stash for some Pearl Bracelets in navy, yellow and grey. Our two completed tops were then handed over to two of the Guild’s fabulous longarmers, Dawn and Jolene, who set to work weaving their magic. For the backing we used some of the bigger pieces from the Riley Blake stash and I then add some scrappy binding for the finishing touch. We now have two fabulous teen boys quilts done and ready to add to our growing collection of quilts for Camp Erin. 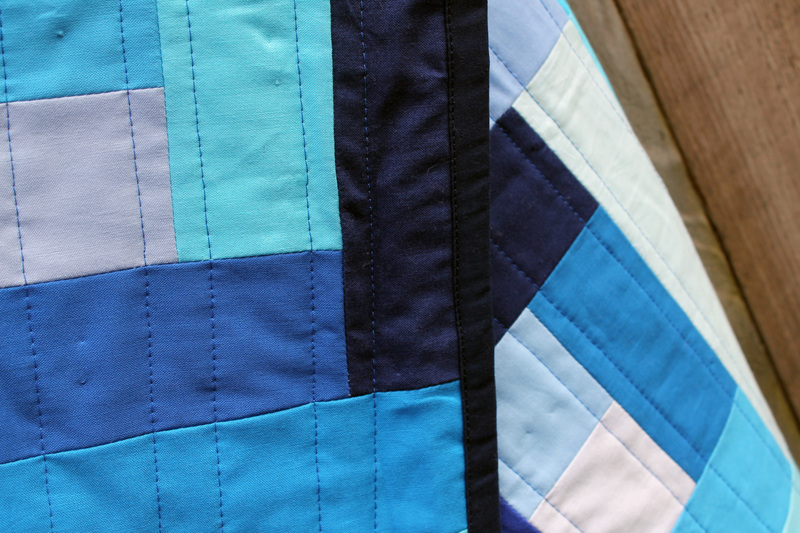 …my baby blue log cabin quilt. 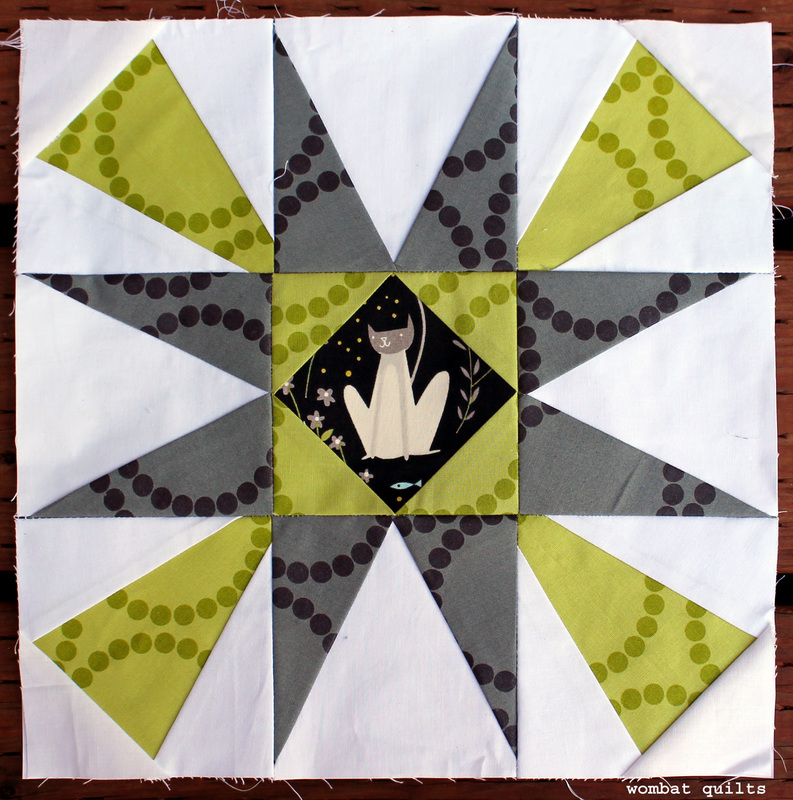 This quilt was made using scraps left over from the quilt I made my sister-in-law and the top was put together in record time… and then just sat with my other UFO’s until I took pity on it last week. 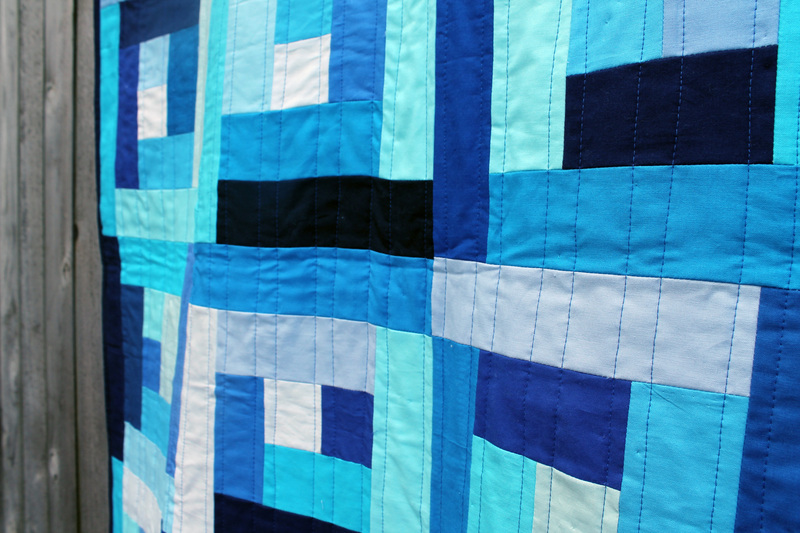 I loaded some electric blue thread into my machine, attached my walking foot and started quilting. 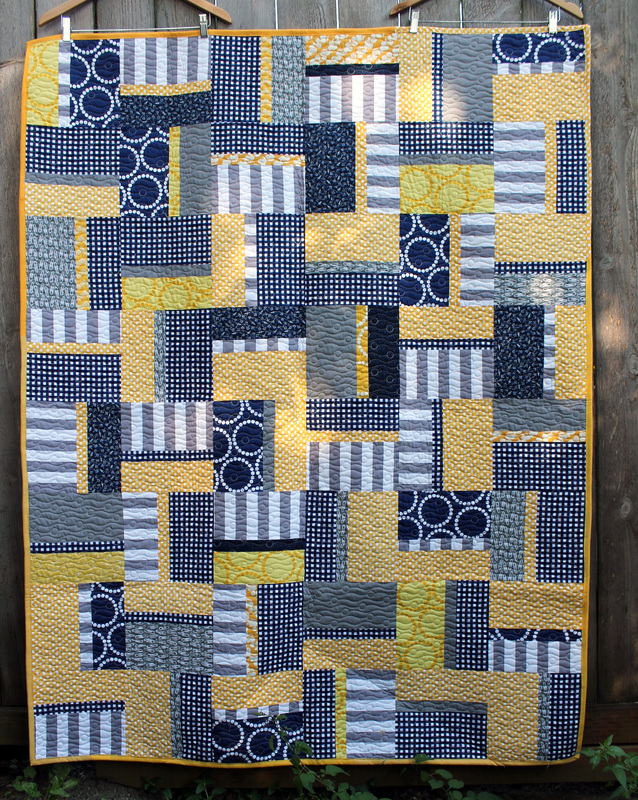 Lots of straightish lines later the top was quilted. 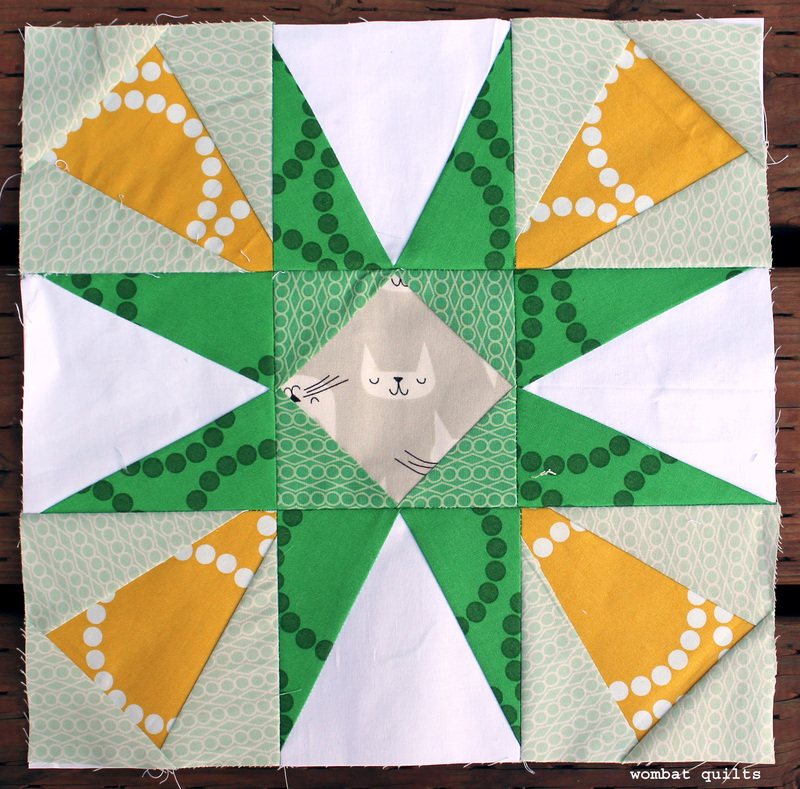 For the back of the quilt I used a piece of IKEA fabric I had in my stash that seemed to work well. The finishing touch was some solid navy binding… nothing too fancy but I think it was what was called for. 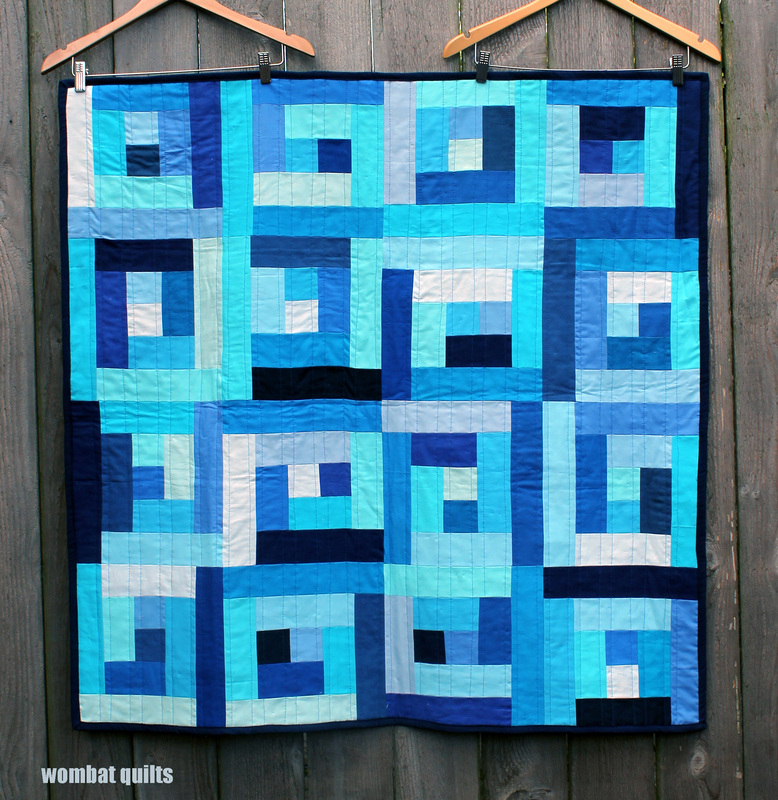 So I have my first finished quilt for April. 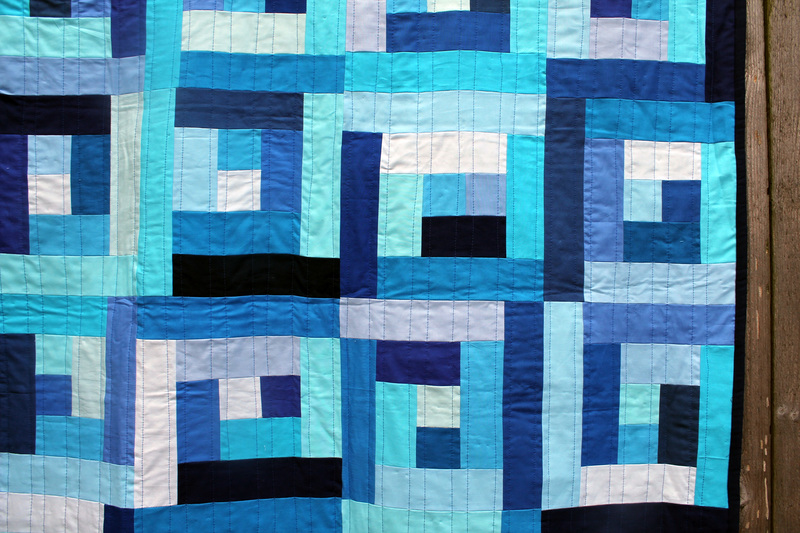 “Baby Blue” will be heading to Project Linus this month, as our chapter has a shortage of baby quilts at the moment… and I am off to sew more little bits of fabric together.